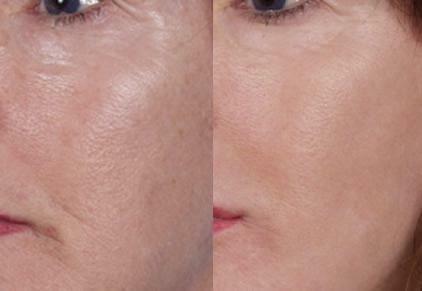 Micro Laser Peels with the Sciton laser precisely removes the outermost layer of the skin. We customize each treatment based on your skin condition. Skin conditions such as wrinkles, injury scars, acne scars, skin laxicity, keratosis, and pigment problems have been successfully treated with Sciton Micro Laser Peels. We produce dramatic results for men and women alike. Prior to the Micro Laser Peel a topical anesthetic is applied for one hour to numb the skin. Then we will perform the treatment which will take about 20-30 minutes. We will instruct you on post laser skin care. After 2-3 days of redness the results are impressive and continue to improve for several months. This procedure can be repeated 2-3 times a year, but just a single treatment yields substantial improvement.